I am Peter Nutkins, the specialist family portrait photographer, and I come to your home to capture studio style portraits. No need to travel - it is so simple when I come to you. I help people just like you to create precious memories. Portraits of you and your loved ones that radiate just how beautiful you really are. Memories that you will revisit time and time again, but will outlive us both and become a treasured heirloom for generations to come. The experience I offer will be designed just for you. No two portrait sessions are the same because your memories will be unique to you. You will be creating so much more than just a photograph. My positive, professional, friendly approach helps you to both relax and gain greater confidence in front of a camera. By looking through the pages on this website you can find out about what it means to you and your loved ones have your portrait taken and why you deserve to have a portrait to treasure for a lifetime. This American tradition is becoming popular in the UK today. Bridal portraits (and groom ones too) are a great way to capture the most beautiful photographs of you in your wedding dress without the stress and pressure of the actual wedding day. They do enable you to have a trial run with your hair and makeup and even with your florist! A beautiful bridal portrait can either be a stand-alone session or as part of your wedding photography. When guests arrive at your reception what a treat to see a beautiful portrait of you already printed. Some couples use their portraits on the guest book table or even as a signing frame. Guests write their best wishes and dreams for you on the large mount surround around your bridal portrait. Once the wedding day is over your signing frame can be framed and kept as a lasting memory of all the love your guests shared with you. Learn more about how you can have studio quality fine art portraits taken in your own home - I bring my studio to your living room! Get in contact with me today for a FREE consultation. 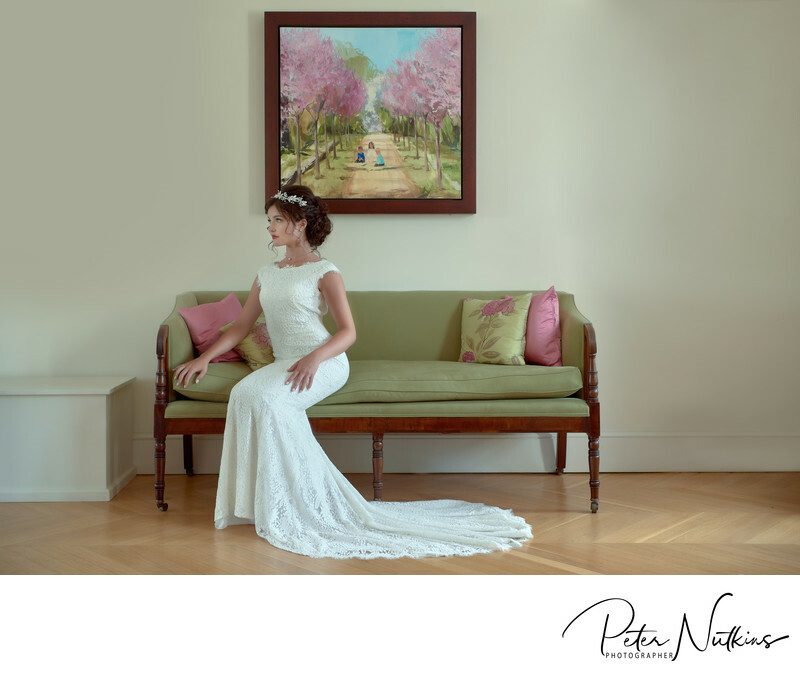 Peter Nutkins is a full time professional portrait and wedding photographer. Location: South Wingfield, Alfreton, DE55 7LZ.